Vanus in 1971. After spring 1969 when I graduated from Pensacola High School, my family moved to Fort Walton Beach, Florida. I enrolled at Okaloosa-Walton Junior College to pursue Electrical Engineering, but I wasn't prepared for the demands. The faculty at OWJC were mostly retired Air Force officers and many students were in school to get a draft deferment because the Vietnam War required cannon fodder. In order to avoid the draft you either went to Canada, or did well in College. The professors knew that so they made it difficult to pass. 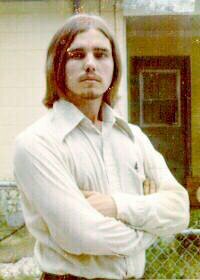 I managed a C in Chemistry I, and a B in Applied Mathematics, but was failing some others, so I changed my major to Music in the fall of 1971. In spring 1972 I withdrew from college and joined the Navy. My draft lottery number was drawn after I enlisted and I got number 411, which means I never would have been drafted, but I'm glad it turned out like it did because I enjoyed the Navy. I never stopped wanting the degree in Electrical Engineering so I took up the quest again in 1986 and graduated at age 41 in 1993.